The material that connects your roof overhang and the side of your building is the soffit. 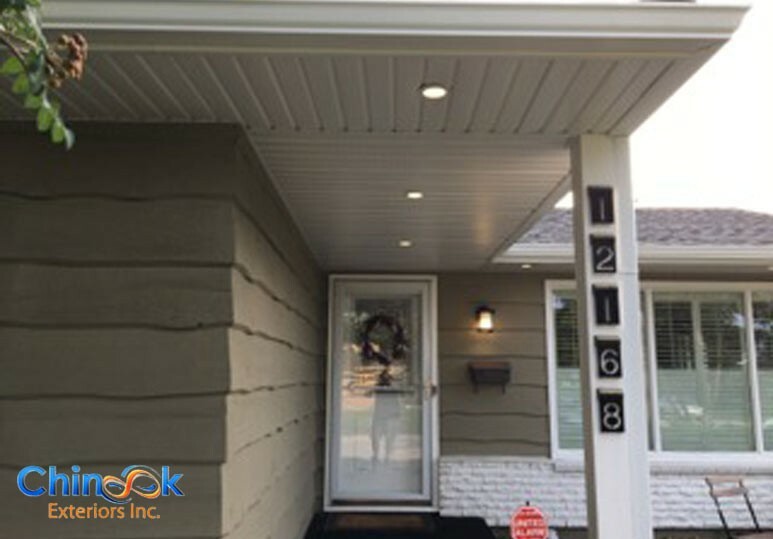 A soffit can be found anywhere there is a visible sealing. Commonly, it’s made of vinyl and aluminum. What Does the Soffit Do? 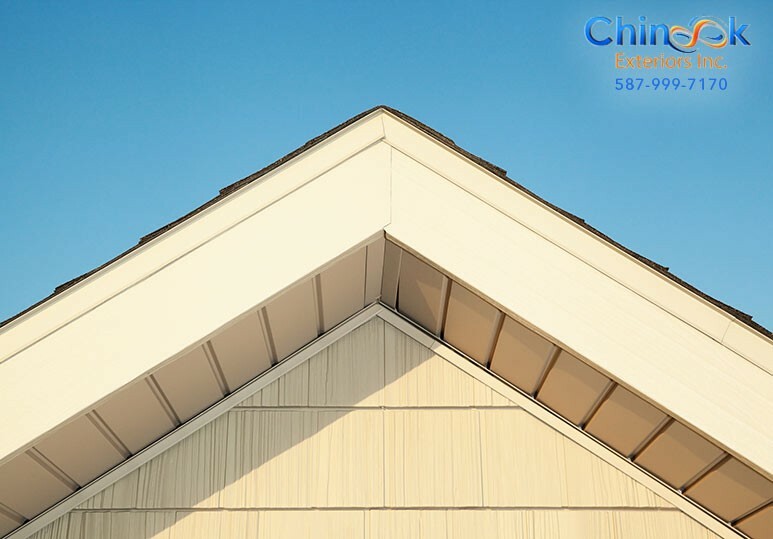 Specific to your home’s exterior, it is both a functional and aesthetic mechanism designed to “help your roof breathe” and cover up your rafter beams. Without a soffit, your rafter beams would be exposed, presenting an eye sore to your home’s exterior. In addition, the rafter beams would no longer be protected from weather/climate changes and would eventually result in mold build up and rotting. 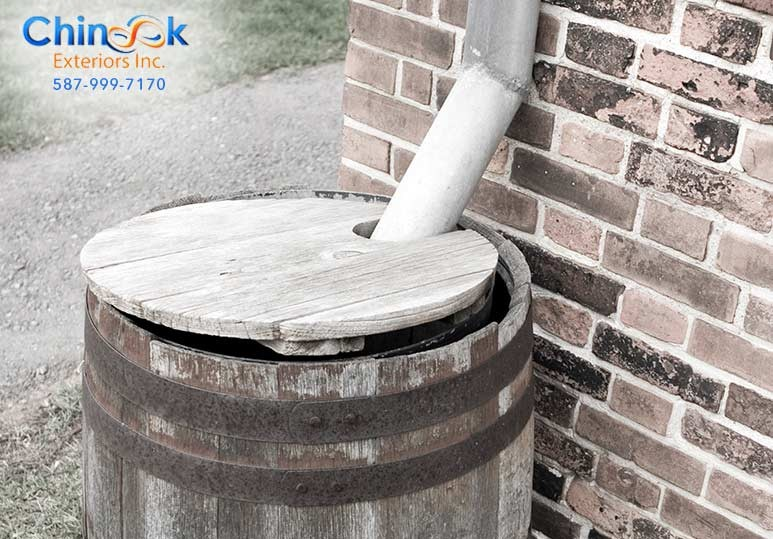 A vented soffit contributes to the overall air flow of your home. A vented soffit will circulate air through your attic and ensure that moisture entering through the vents is very limited. 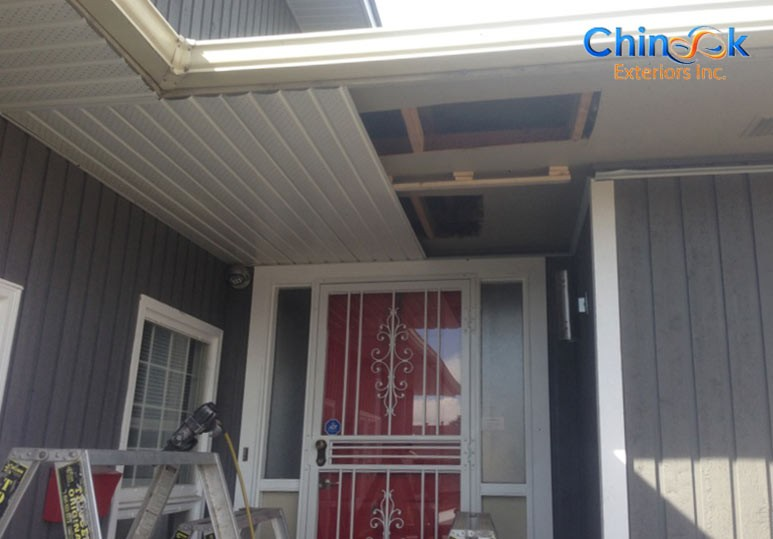 Even though the soffit vents are perforated, many home owners and sometimes professionals will cover them with insulation. This prevents proper airflow through your attic, trapping moisture and creating condensation problems = mould! What Materials are Soffits Made Of? 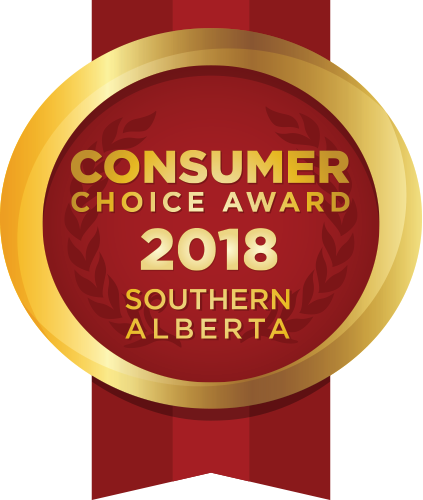 Chinook Exteriors only uses the highest quality products for our customers. We assist in facilitating professional colour matching and offer a variety of styles (2, 3 and 4 panel options). See the Gentek Colour Selection for more information.